Worktop upstands are a stylish and hygienic alternative to tiling down to your work surfaces. This laminate white oak worktop upstand is a beautiful recreation of a natural oak surface, with a texture that resembles wood grain to enhance the realistic effect. Designed to match the other items in our laminate white oak collection this upstand measures 3m x 120mm x 18mm and looks like washed or limed oak. 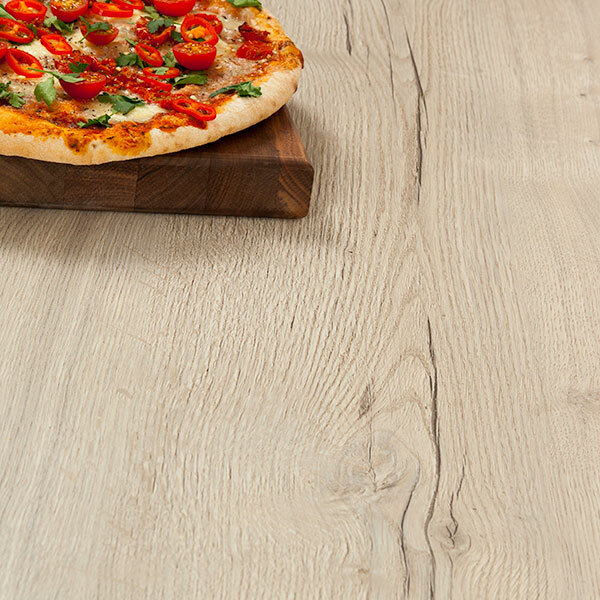 Created from a core of durable fibreboard wrapped in a hard-wearing decorative laminate top layer, this white oak effect worktop upstand can be wiped clean using a soft cloth and some warm soapy water. A low maintenance option for even the busiest of households, this upstand can be wiped clean using a soft cloth and warm soapy water. Easy to install, this upstand needs to be affixed directly onto the kitchen wall adjacent to the worktop rather than to the worktop itself.